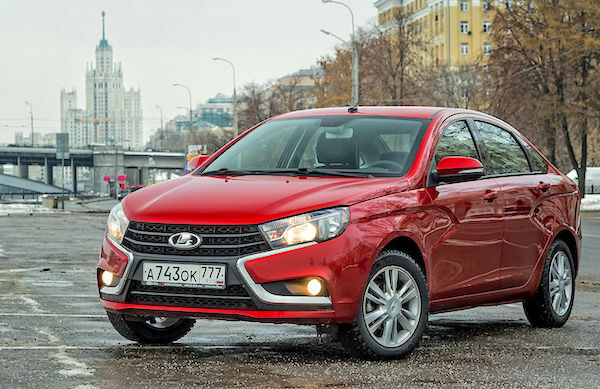 The Lada Vesta is the best-selling vehicle in Russia for the 2nd time ever. The Soccer World Cup in Russia has diverted some of the attention of potential car buyers this month. As a result, new car sales in Russia somewhat slow their growth in June to +10.8% and 156.351 units, the lowest uplift since April 2017, yet still continuing a splendid 14-month streak of consecutive double-digit year-on-year gains and 16 months of gains outright. The Year-to-date tally halfway through the year is up 18.2% to 849.221. Local leader Lada continues to outpace its home market at +15% to 20.1% share, as does #2 Kia up 18% to 12.7%, but Hyundai (+12%), Renault (+11%) and Toyota (+1%) all trail the market in the remainder of the Top 5. Skoda (+26%) and Volkswagen (+21%) post the largest gains in the Top 10, while further down Honda (+1226%! ), Mitsubishi (+92%), Smart (+76%), Mini (+52%), Suzuki (+47%), Porsche (+27%), Subaru (+22%), Peugeot (+21%) and BMW (+18%) all impress. The Chinese offensive in Russia continues, with FAW (+202%), Zotye (+147%), HTM (+117%), Dongfeng (+114%), Changan (+60%), Foton (+33%) and Geely (+32%) the fastest growing, albeit none of them is above 0.2% market share. Note Ravon did not report sales for the month. The Hyundai Tucson more than doubles its sales year-on-year in June. Over in the models ranking, the Lada Vesta soars 49% year-on-year to snap its second ever monthly pole position after last January, breaking its monthly volume record (9.843) but not its share record at 6.3% (best is 6.5% last January). The Vesta puts an end to four consecutive months of reign by the Kia Rio (+10%) down to #3 this month. As a reminder (more details in the January 2018 post), the Vesta is the 6th Lada nameplate to have held the Russian monthly top spot at least once this decade: the Granta did so 40 times since September 2012, the Priora 12 times (last in August 2012), the Kalina 11 times (last in July 2012), the Classic 6 times (last in March 2011) and the Samara 3 times (last in December 2011). 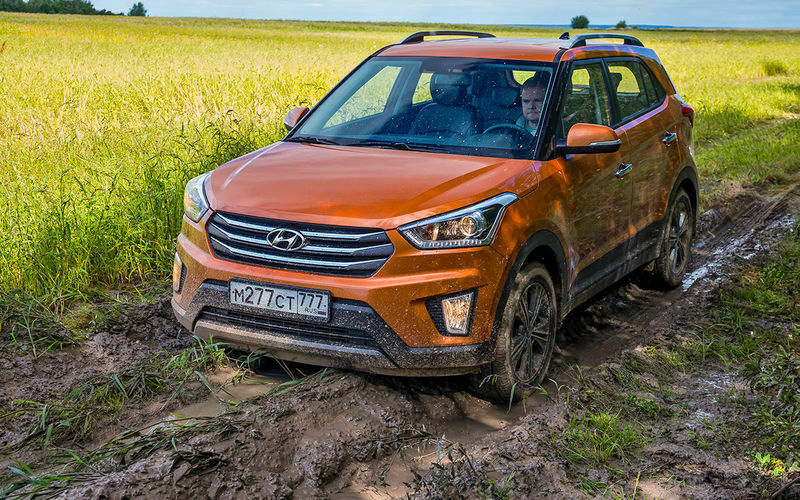 The Hyundai Creta advances 44% to post a 23rd consecutive month as Russia’s #1 SUV. This month Lada scores a 1-2 with the Granta (+7%) remaining in 2nd place, something it hadn’t achieved yet this year. Below the Hyundai Solaris (-14%) at #4, the Hyundai Creta (+44%) scores an incredible 23rd consecutive month as the nation’s best-selling SUV: no interruption since its launch in August 2016. 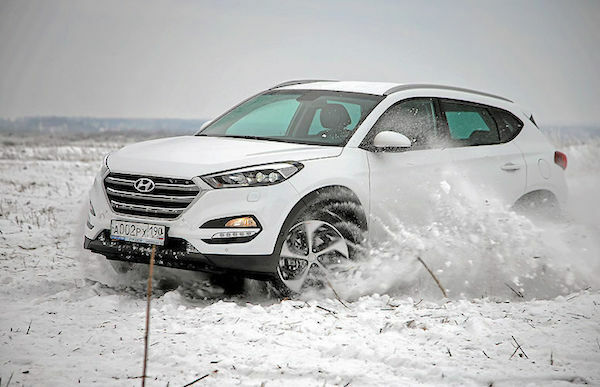 You have read that right: the Hyundai Creta has only ever been the #1 SUV in Russia its entire career so far… The VW Polo (+45%), Renault Logan (+26%) and Lada Largus (+19%) also impress inside the Top 10, with the Hyundai Tucson (+101%), Nissan Qashqai (+35%), Mitsubishi Outlander (+34%), Lada 4×4 (+18%) and Skoda Rapid (+18%) also solid further down. Full June 2018 Top 55 All-brands and Top 25 models below.